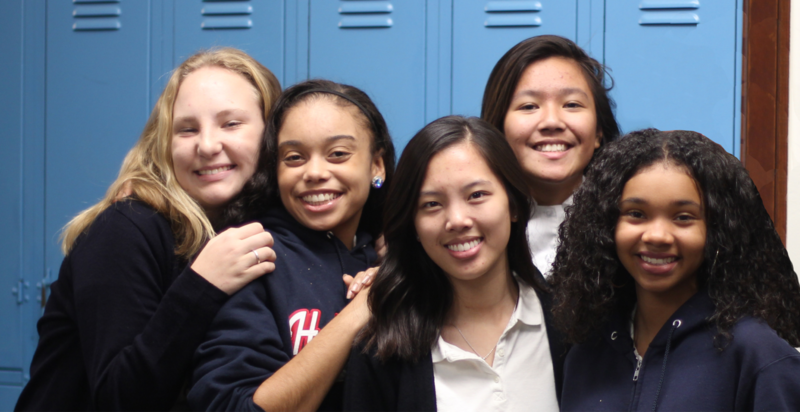 The Noblesse Oblige Society is Holy Names High School’s planned giving society; our partners in mission and helping to ensure access to top tier education for generations to come. Planned Gift: You can designate a planned gift to Holy Names High School, by making a large gift as a part of your Will or Trust. The amount left to Holy Names can be expressed as a dollar amount or as a percentage of the assets to be given. Contact your lawyer for help in adding it to your Will or Trust. Beneficiary: You can also name Holy Names High School as a beneficiary of retirement accounts, insurance policies, or other financial accounts. Contact your accountant or policy administrator for the appropriate designation form and list Holy Names High School. I designate $____ or ____% of my estate to Holy Names High School, tax ID number 94-1546648, to support Holy Names High School and to sustain its highest priorities. Want to support specific programs? Let us know where you would like to direct your gift or contact us to learn more about our programs. You can create a scholarship, support a specific area of the school, or create an endowment for Holy Names. Please contact us for more information and confidential assistance. Note: In order to make this legal change to your estate, please contact your own legal and/or tax advisors for advice applicable to you. Join Our Noblesse Oblige Society Today! To request a physical copy of our Planned Giving pamphlet, please send us an email.